Install the 4 piston oil nozzles (1). 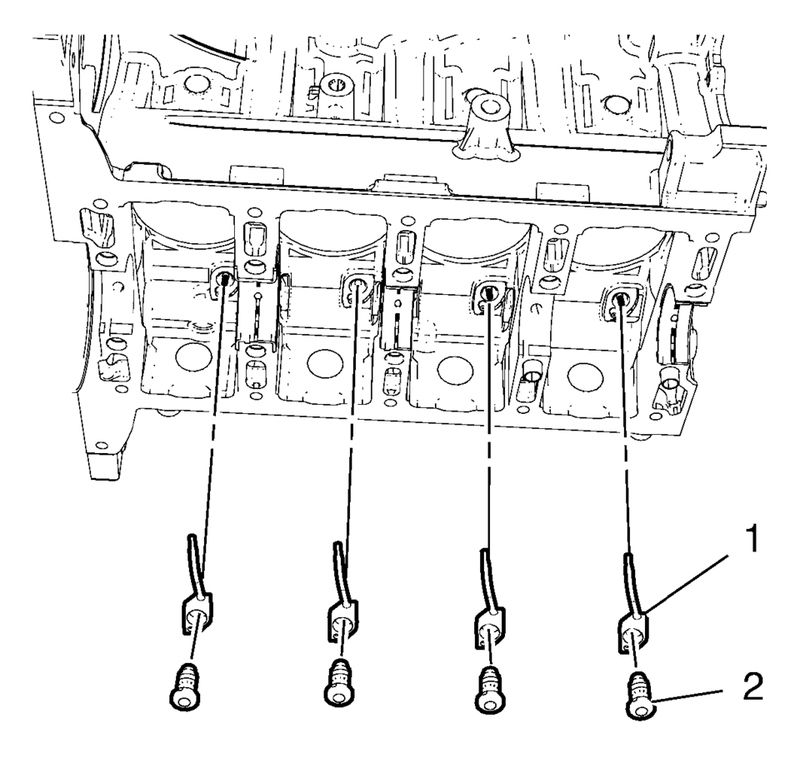 Install the knock sensor (2). 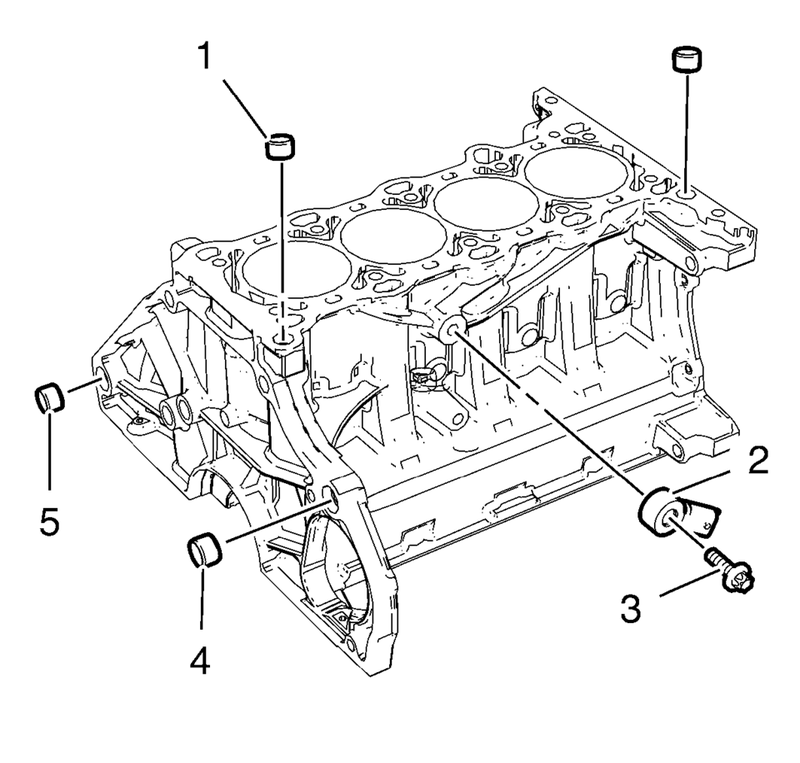 Install the 2 cylinder head guide sleeves (1). Use a rubber mallet. Install the 2 transmission guide sleeves (4) and (5). Use a rubber mallet.